More than 15,000 Companies use TDS Transportation software. TDS FuelTAX: TDS FuelTAX "BulletProof" Accuracy. Affordable IFTA fuel tax software. Built-In state approved IFTA reports. More Features. 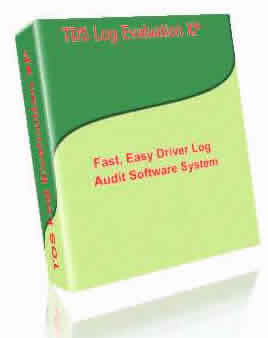 TDS Log Evaluation: Keep your Drivers in compliance. Audit Driver logs, Meets all DOT & FMCSA specs for trucking. More Features. 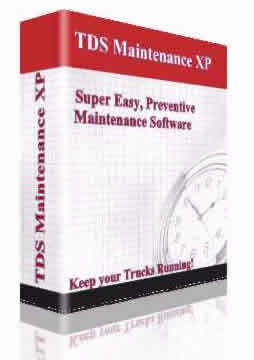 TDS Maintenance: Designed to manage the maintenance needs for trucks, trailers, heavy equipment, Farm equipment and more. More Features. 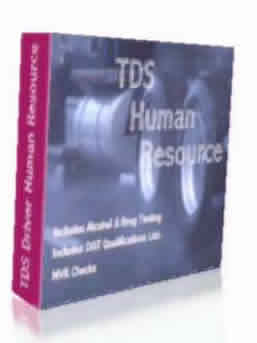 TDS Human Resource: Includes trucking Driver-Qualification checklist, Alcohol & Drug Testing . More Features. TDS Loads Xpress. Powerful dispatching and freight billing system. For Full truck, LTL, Brokers, Bulk haulers and more. More Features. 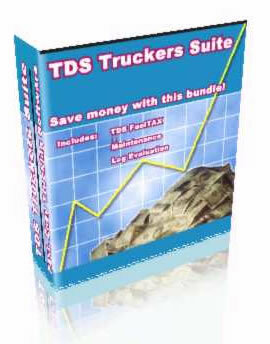 TDS Truckers Suite. A Super bundle of software designed to manage the compliance needs of your company. More Features.